Like typical household plumbing pipes, sewer lines can begin leaking into the surrounding areas. 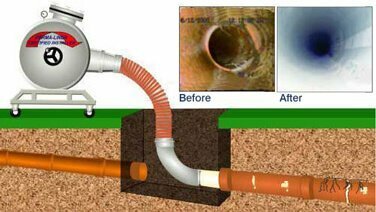 Sewer leaks can go unnoticed for a long time, considering that the pipe itself is buried below the ground. These underground water leaks can eventually cause problems with the plumbing in your home, as well as creating an entry point for tree roots to enter the sewer pipe. 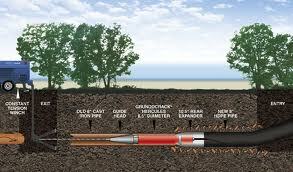 They can also loosen and weaken the surrounding soil, creating the risk of a bellied or collapsed sewer pipe. 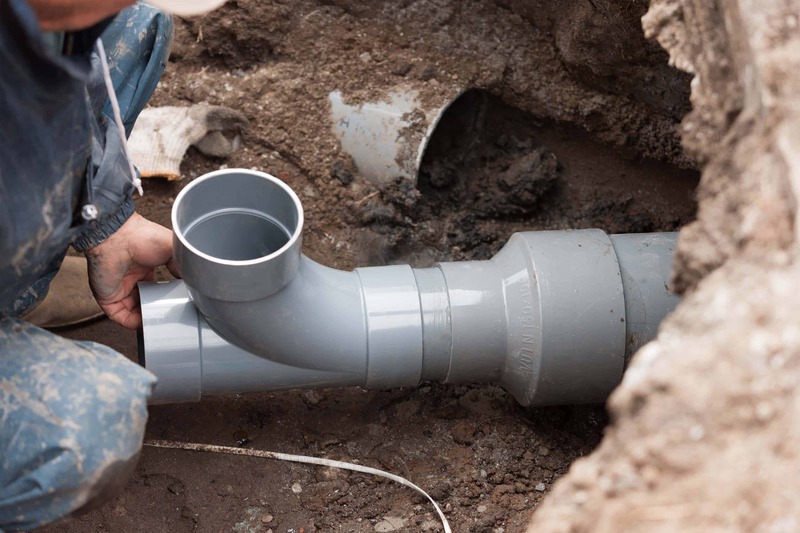 To prevent both plumbing problems, as well as damage to your lawn and landscape, it’s best to call a plumber for professional sewer pipe repairs as soon as you suspect that there might be an underground water leak. In New Jersey, prompt plumbing repairs can save hundreds or thousands of dollars by preventing further damage. Unfortunately, sewer leaks have often become fairly serious when homeowners finally notice that something’s wrong. Frequent, persistent plumbing clogs. Sinks and toilets can clog for their own reasons, but when the same problem keeps happening in multiple areas of your home, it’s often a sign that the real problem is down in the sewer main line. Water leaks in the sewer pipe can ultimately obstruct the normal flow of wastewater away from your home, as well as producing sharp or jagged points where various debris can adhere and cause a sewer clog. 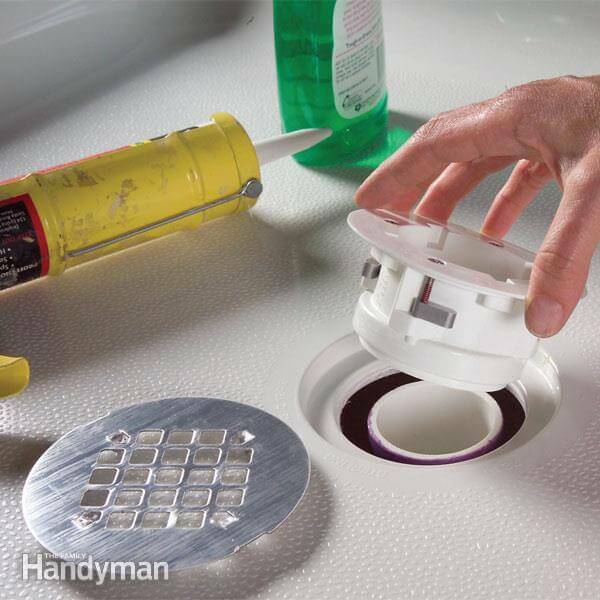 This can lead to problems with your sinks, showers, and toilets refusing to drain correctly. Soggy ground above the sewer main line. Severe sewer leaks can saturate the surrounding soil, creating damp or marshy areas on your property. This water leakage is often accompanied by distinctive sewage odors produced by septic bacteria. The excess water interferes with the density and consistency of the soil, which can lead the pipe itself to sink downward. Sinking sewer cleanout. Soggy ground from a sewer leak can cause the sewer cleanout to begin sinking downward. 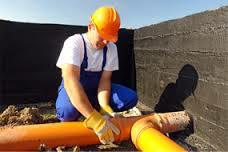 The sewer cleanout is a small pipe with a white or black cap, usually located somewhere near the edge of your house. Sewer problems can also cause it to fill up with water, which is a sign that you should call a plumber for sewer leak repair. Water leaks in the sewer line are almost always attributable to wear and tear. A sewer main line pipe can last up to 60 years, but toward the end of its lifespan, it’s vulnerable to rust, calcification, corrosion, and other processes that weaken the metal and create cracks and holes. Sewer leaks can also occasionally result from shoddy plumbing. If your sewer line wasn’t installed properly, loose joints and displacement could cause water to leak out into the soil. When you need sewer repair, you’re generally looking at one of two options: sewer repair or sewer replacement. 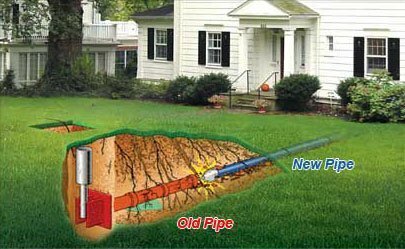 Unless your sewer line is very old and damaged, in New Jersey it’s rare that you’ll need the entire sewer main line replaced. Sewer repair for water leaks is usually trenchless. No-dig sewer repairs for water leaks preserve your lawn and landscaping, eliminating the need for sewer excavation. Depending on the extent of the damage to your sewer pipe, contractors may use one of several different trenchless sewer repair methods to stop water leaking and restore normal water flow. 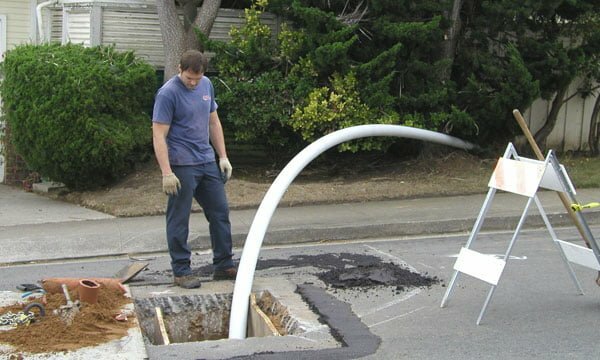 Trenchless sewer repair is a relatively recent innovation for fixing cracked, broken, or damaged sewer pipes. 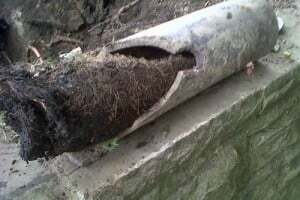 Years of corrosion, tree root intrusion, and other problems lead to water leaking into the soil, pipe collapse, bellied pipes, and other problems. Sections of damaged sewer pipe can be repaired or replaced without digging any large holes, although there are some situations when sewer excavation for water leak repair may still be preferable. Call us anytime for emergency plumbing service for sewer leaks or sewer repair in NJ.